The Ayurvedic Doula – Nutrition and Support Program is 9 months long and consists of 16 credit hours, approximately 262 total hours. The certificate for this program will be issued only after completing all the courses listed in the program. Students must attend the entire Ayurvedic Doula – Nutrition and Support Program, individual course attendance is not offered. This ensures the highest standard of quality education for every Ayurved Sadhana Student. For more information on Ayurvedic Doula Nutrition and Support Program Classes, or to reserve a seat, please click on each class’ description link. If you have questions, please click on the ‘Make an Inquiry’ button. Payment plan: Available to accepted students for ease the burden and focus on studies at hand. The tuition can be paid from July to March, every 1st day of the month. Note: Tuition fee for all classes is included in tuition fee of Ayurvedic Practitioner and Advanced Ayurvedic Practitioner Program. We follow NAMA (The National Ayurvedic Medical Association) guidelines for our curriculum. Starting February 1st through April 30th 2019. 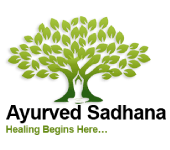 Offer services in your local community and then submit all your homework, shadowing documents, assignments, self-evaluation and client evaluation forms to Ayurved Sadhana admin.